Mary V. Sprunger, 79, Leesburg, passed away at 7:08 p.m. Nov. 3, 2016 at Kosciusko Community Hospital, Warsaw. She was born Sept. 6, 1937 in Princeton, Texas to Robert Eugene and Audrey Augusta (Stone) Baker. Mary has been a resident of Kosciusko County and Leesburg since 1977, moving from Florida. She married Jacob W. Sprunger on Dec. 31, 1956 in Hialeah, Fla. She previously worked at Wal-Mart in the claims department. 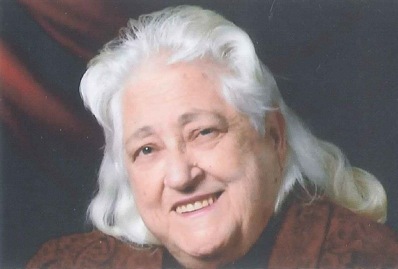 She was a member of the New Hope Free Will Baptist Church in Warsaw. Mary is survived by her husband, Jacob Sprunger, Leesburg; her daughters, Cynthia (and spouse Mel) Regier, Winona Lake; Debra (and spouse Mike) Neary, Longmont, Colo.; and Barbara Jo (and spouse Patrick) LeBlanc, Southport, N.C.; ten grandchildren, six great grandchildren. She is preceded in death by her parents and 1 brother. A memorial service will be held at 11 a.m. Monday, Nov. 7 at New Hope Free Will Baptist, Warsaw with Pastor David Cripe officiating. Burial will be in Leesburg Cemetery, Leesburg.